Kamran Iqbal holds a PhD degree in Electrical Engineering from the Ohio State University. He currently serves as Professor of Systems Engineering in the College of Engineering and Information Technology at University of Arkansas at Little Rock. 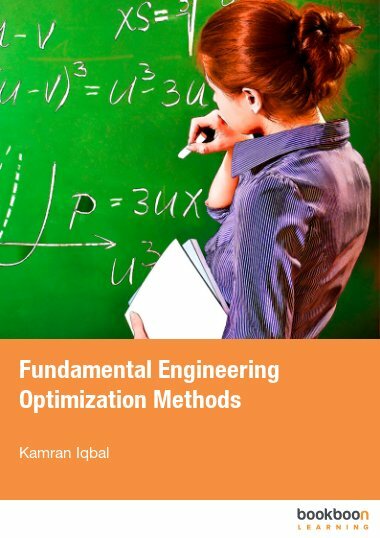 He has taught optimization methods to undergraduate students from engineering and technology fields for several years. His other teaching and research interests include control and dynamic systems, biomechanics of human movement, and computational intelligence. He is a licensed professional engineer in the State of Arkansas, and a member of IEEE, IET (UK), ASEE, IASTED, IENG, and Sigma Xi, for which he has also served as president of the Central Arkansas chapter.